Carry Dorje Shugden’s protective and positive energies everywhere you go with this exquisitely designed Buddha pendant. 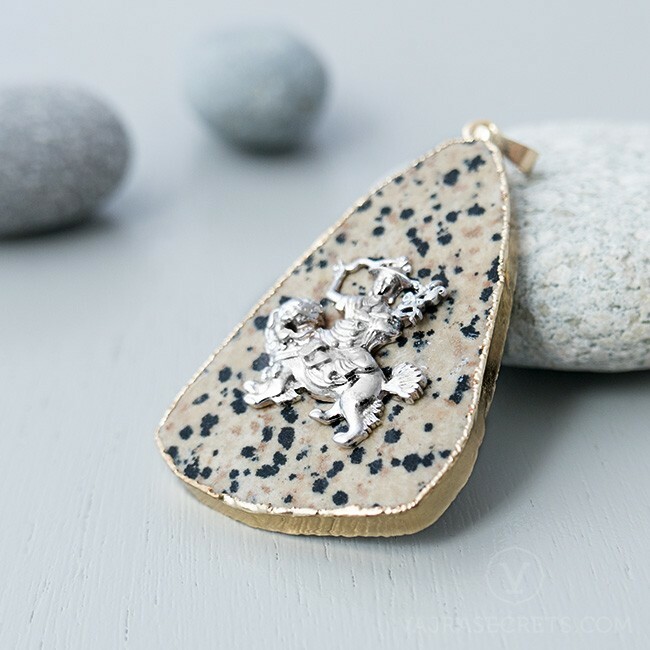 Combining delicately crafted 18k white gold vermeil and the natural beauty of Dalmation Jasper, this one-of-a-kind piece will make you stand out from the crowd while enjoying the blessings of wisdom, healing, clarity and abundance. Carry Dorje Shugden's protective and positive energies everywhere you go with this exclusive Dorje Shugden pendant made of 925 sterling silver plated with 18k white gold. 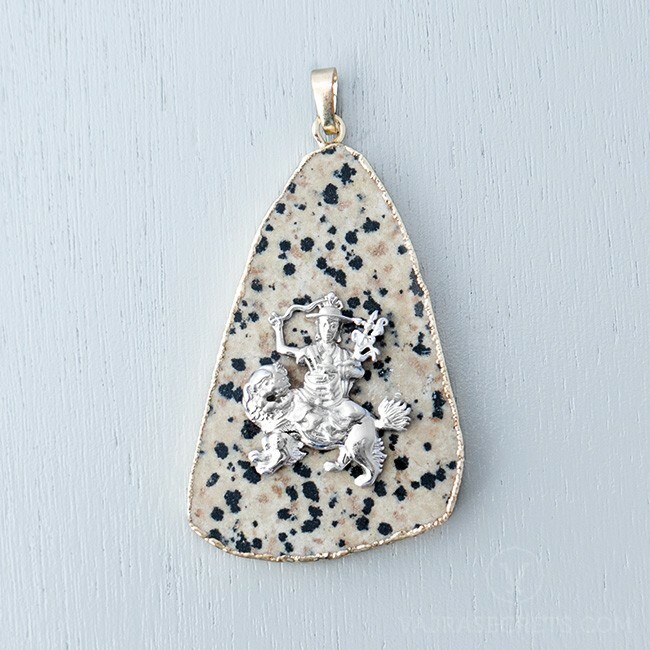 Mounted on a natural dalmation jasper slice with gold-plated brass trim, this is the perfect accessory for anyone who appreciates fine craftsmanship and one-of-a-kind pieces. Dalmation Jasper fortifies the spirit, protects against negativities and brings a sense of fun into one’s life. This grounding stone promotes loyalty in relationships and helps one to recognise their strengths and weaknesses. Its calming influence is excellent for children and animals.